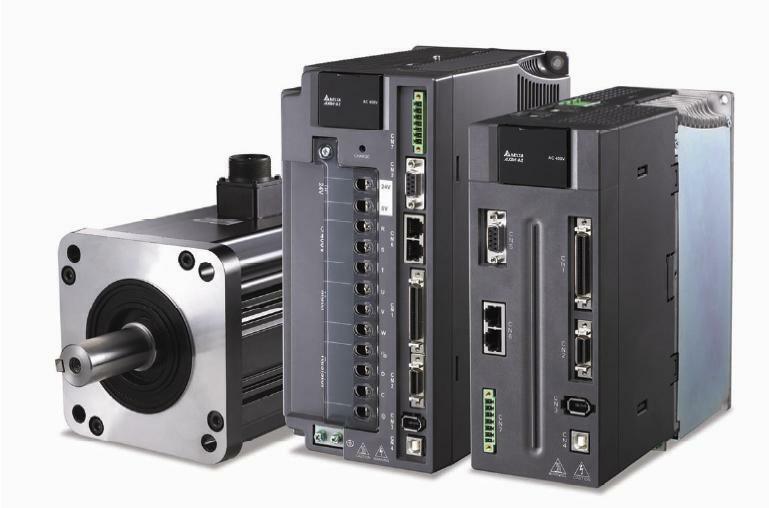 Problem: our ASDA-A2 servo drive is a very good high-end servo drive, except for the fact that it does not support PROFINET until now, and for one of our potential costumers we needed such functionality. This document explains the solution that we did for such problems. System structure: the system is basically to control a load with our ASDA-A2-M servo drive, which has CANOpen communication. The controller is a PROFINET Master (e.g. Siemens S7 PLC). 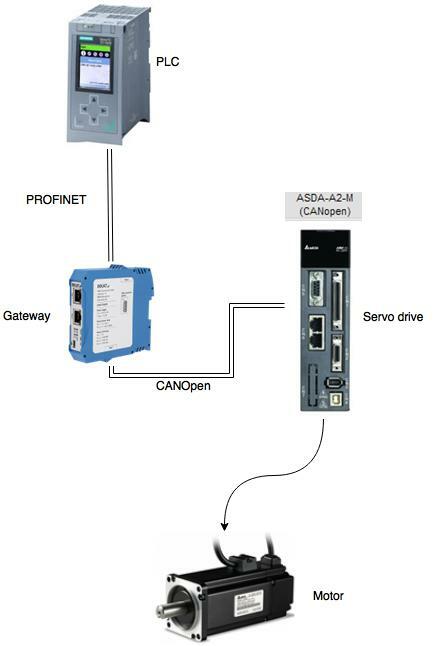 Here we used a gateway, to bridge the connection between PROFINET and CANOpen, the gateway used was IXXAT CME/ PN from HMS. The ASDA-A2-M CANOpen interface supports up to 4 PDOs duplex (transmit and receive), each PDO has a length of 8 bytes. After the configuration has been made, a compilation is done in the software, and then the GSDML file is exported to be used in the PROFINET master as a device . And the last step is to download the configuration to the IXXAT gateway using the USB cable (mini USB port). PROFINET Master: here in this case a Siemens PLC is used (CPU1516-3 PN), first step in the hardware configuration the GSDML file is loaded, and then the device is inserted in the HW configuration. 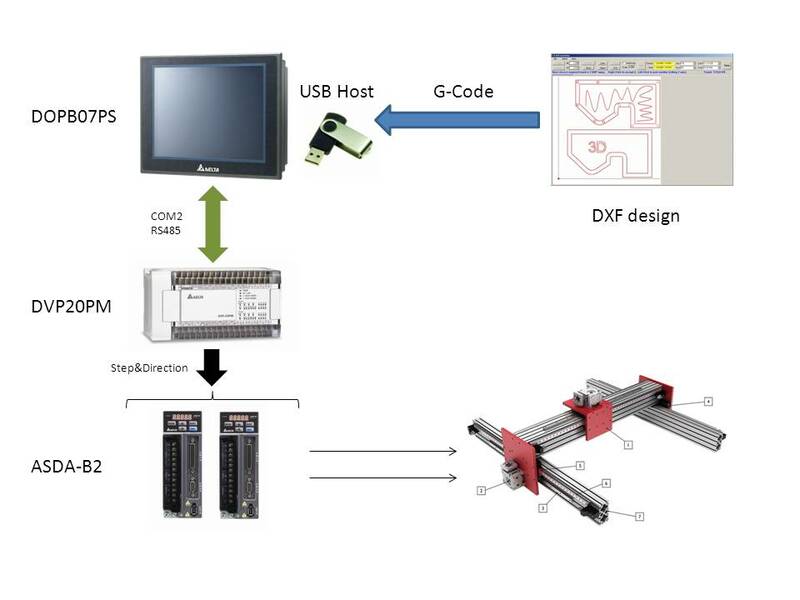 After inserting the device, it will automatically assign inputs and outputs areas for the mentioned variables, where they can be used later in the PLC program to control the servo drive. we hope this will be of help to your application. 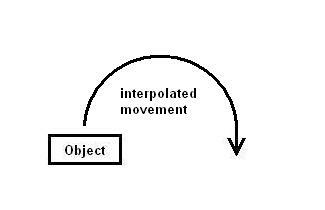 Today, were going to talk about motion control. There´s a PLC not released in many countries, but capable to manage up to 3 axis using step and direction control, is called DVP20PM or PM series. This PLC needs special software called PMSoft, available on the web for free, as always. The G-Code files are a codified files that transform a Autocad file into a motion control trajectories, making the programming of motion control systems really easy. Thanks to that codification, you can cut a difficult wood profile for example, designed previously using Autocad, and avoiding the hard PLC programming work to the engineer. The problem that customer use to have with DVP20PM is when customer want to change the cutting profile of their product, because in that occasions, the Computer is needed, and not always our customer have a computer on the machine, isn’t it! Here, is where appears our new DOP-PS models, already available in EMEA region. According to that, our HMI team prepares for us the complete following example where we´re going to cut an Scorpion picture profile into our 20PM. As you should understand this really simple kind of CNC tool could be applied to many kind of applications, from Wood cutting, plasma, or gluing, to stone grinding or even metal cutting! Don´t hesitate to share your experiences with us. 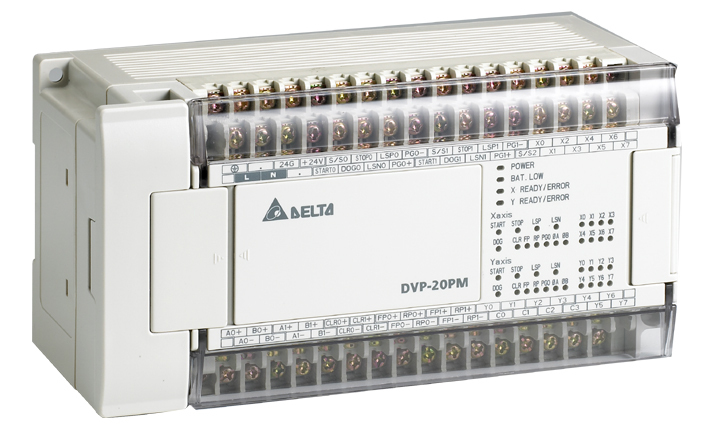 And really soon same functionality to DVP10MC the future CANopen motion controller from Delta! This is dedicated for European customers. Mainly PNP is used exclusively in Europe, some machines in Middle East, but America and Asia and completely NPN. 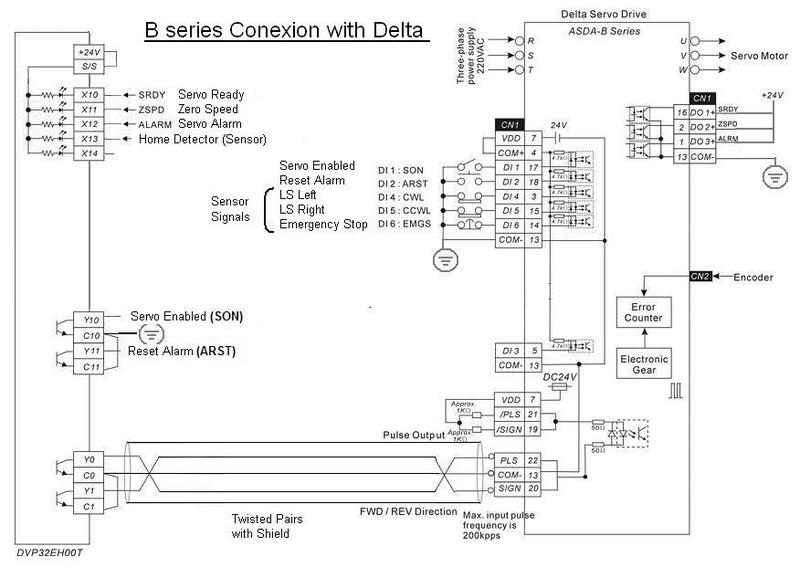 That’s why in the first place our servo drive inputs are only compatible for NPN PLC output (like our Delta PLC’s). But what happen If my customer is really used to work with his European brand PLC, but he wants to test our servo drives? In this case we suggest the following PNP connection for ASDA-A2. Furthermore, in the attached file you will find all the other suggested connections for the other servo drive series. One of the most typical applications once you have some interpolation device in your hands is Pick & Place. 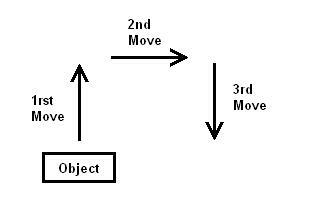 The objectie of the application is move some object from one point to another one, and you can´t find one single company that didn´t need in some way one variable of this application. 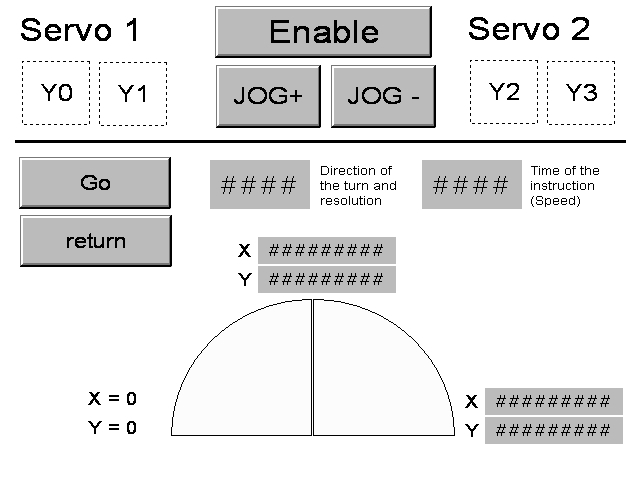 Of course application have multiple variables, and the most easy one is with linear movements. But later engineers think how to save time with that process to make their machines faster. And the easy way is to interpolate both axis following a semicircle as below. Because of the popularity of Pick & Place, in Delta we have several devices able to work like that. Further more our ASDA-A2 servodrive is able to do it by his own, with no extra PLC or motion controller. But today I would like to share how to do that application with one of our standard CPU´s and ASDA-B servodrive controlled trough Step & Direction. So in this case you can use the same program to control Servo systems, Steppers or even inverters. The CPU´s able to interpolate two axis nowadays in Delta are: DVP-SA2, DVP-SX2 and DVP-SV. And Regarding the Software, the keypoint is the DCIMA instruction. And If you are still not fully convinced to use our PLC´s for Pick & Place. Here is some video example of our system working! Is not exactly a pick & place application, but uses the same instruction. 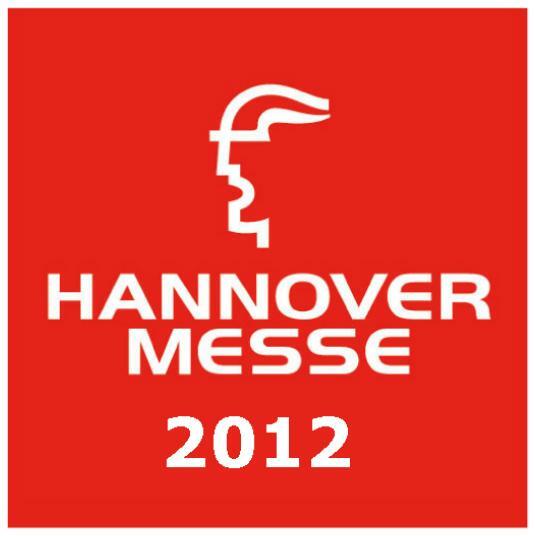 As we promise, for the people who could´t assist to the Munich Hall on Delta Hannover mess Seminar 2012. Here attached the different new products presentations. And for the ones who couldn´t assist, we invite you on the next SPS/IPC/Drive Messe in Nürnberg from 27-29 of November 2012. As many of you should know, to tune a servo motor is not a piece of cake. To have a good tune, you have to take care of the load, the inertia, the gearbox, etc..
To help you in this task, Delta provide different kind of tools. 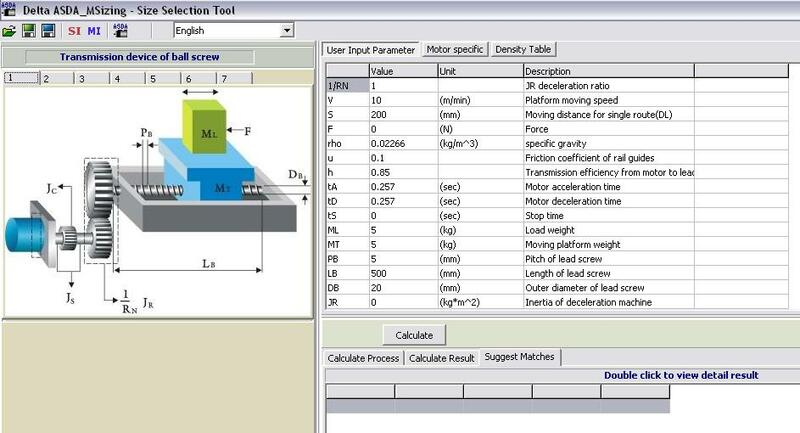 This software is really useful to calculate the interta and the Torque needed of your system. You can dowload it for free (as usual) on Delta’s web page. But If you already installed ASDA Soft, check your computer, because probably it would be there. Depending of the drive the ASDA-Soft have different autotuning tools. On the other side, for the ASDA-A2 servodrives, our Service team, did the following PDF to help you in that task. I know… The announcement comes a little late, because probably some of you already have some of those devices in your Labs and/or Office. But before wait for this device for such a looong time, we’re glad to announce it, even If it’s late! 1. Broad power range available from 750W to 7.5kW. 2. Input power supply of all ASDA-A2 400V series servo drives is AC 400V (380V~480V), 3-phase. 3. An incremental 20-bit (1280000 p/rev) optical encoder is equipped. output is from 2.39 N-m to 119.36 N-m.
modes and 64 internal memorized position settings are available. There are several ways to control one axis. But If you need to control position (no speed or torque), the Step & direction way is normally the simplest and cheapest way. The other advantage is that you don’t have to rack one’s brains thinking if that protocol is going to work or not, Step & direction is universal. As always the first is how to connect everything. To communicate PLC and HMI you can check the HMI – 3 PLC Communication Example. Once the hardware and configuration are finished, then you only need to download the following examples of HMI and PLC programs. Updated: Extended features for DDRVI and DDRVA instructions on the latest firmware versions. To finish the presentation of the motion Demos of the Hannover Messe, I give you the 2 other demos left. First the Demo of a 4 axis of A2 servos controlled by DVP20PM, and our new vision system who recognize the value and the position of the dice. And Finally the Demo of the new DMCNET system. One Embeded PC with our DMCNET card, who is able to control with sincronization 12 axis! Furthernore 3 of those 16 axes are linear motors, and they work with Delta A2 drives (in the future we explain our secret). And of course all communicating trough CANOpen DS402, even those Remote I/O’s. DMCNET presentation on Delta electronics website.